Suppose you have two appointments on a day; one at 10 O’clock and another at 11 O’clock. So what you do is set reminders in your calendar for the same on the previous day and sleep worry free. The next day, you attend your first meeting and are ready for the second one. But suddenly, you realize that the destination for the next appointment is at least 2 hours away even if you travel by your own car. Now this is something that never came to your mind and neither did your calendar brought up this issue to you. If you were aware this, you could have delayed the second meeting or make the first appointment near around 9. So when you’re scheduling your meetings, make sure that the timings you’ve set are feasible. Otherwise, it’s worthless. 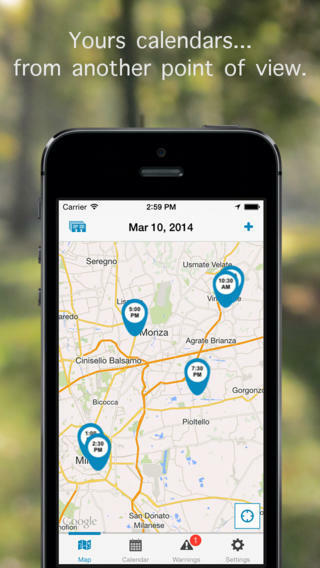 I am talking about the latest iOS app called MobyPlanner that has been developed by MobyPlanner srl. 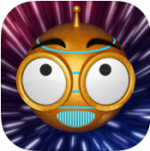 The app is compatible with iPhone, iPod touch and iPad and requires iOS 7.0 or any later version of the OS. This app has also been optimized for iPhone 5. MobyPlanner is a smart calendar which not only reminds you of your meetings but also tells you if they’re possible or not. 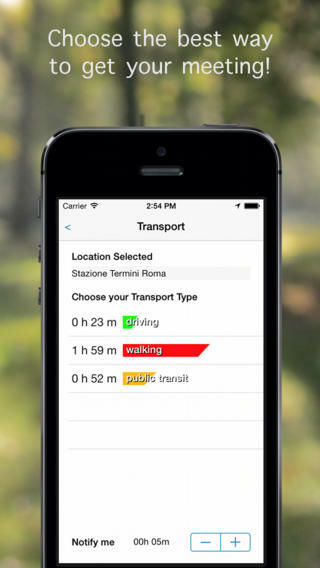 The app uses the Google Maps for tracking the travel time between two destinations. You can use any of the available transport means whether it is public transport, your own car or on foot, if it’s a walking distance. The app will give you an estimate of the travel time and then you can decide whether you want to continue with your schedule or do some changes. So when you’ll add an event along with the timings and destinations, you will get a message from the app if it’s not possible. You can then change the timings or continue if you think that you’ve got a shortcut or something else. You can see all your meetings scheduled for a day in a list along with the travel times displayed below them. So it’s a very intuitive UI which is easy to navigate through and gives you all the details on the first look without having to go any further. Apart from the list of all your meetings, you can check them out on the map as well. The map will show all the destinations along with the time you have to reach there. I think the developers have integrated the map in the app perfectly. Nowadays, everybody uses a map for navigation purposes and with all your destinations already marked on the map, all you have to do is just keep the map open and let the app take care of the rest. This app is available for free in the App Store and it’s really a smart calendar. Just scheduling won’t help you organize your day if it’s not possible. So prevent those last-minute changes and go MobyPlanner! Pros: intuitive UI; smart feature of time travel; integrated Google Maps; know whether a meeting is possible or not; free.